Fighting is tribal and emotional. It always has been and it always will be. When your city, state, or country wins a fight, it's not unusual to feel a swell of pride and joy knowing that the victor walks the same streets as you, eats at the same places as you (when not in training camp), and reps your city, or state, or country. But how do you find these Hometown Heroes for whom you can root? Do you just stumble across them during a PPV event or fight night? Do you train with them? Do you scour local or regional fight scenes to follow the, hopefully, next "big thing" to come out of your city (....or state, or country)? We'll make it simple. At least for MMA. Here is a list of the Chicagoland's most successful, exciting, and/or up-and-coming fighters to keep an eye on; a list of six fighters whose tribe you can join, whom you can root for and feel proud of. 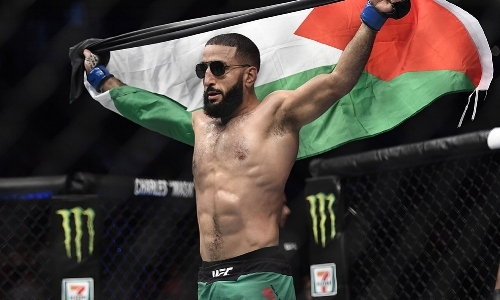 A current UFC fighter born and raised in Chicago, Muhammad graduated from University of Illinois at Urbana-Champaign with a Law degree before beginning his training in 2010. Since then, he has amassed an impressive record of 14-2, including a 5-2 record in the UFC, two wins in Bellator, and the accomplishment of being the former Titan FC welterweight champ. He has been steadily rising the ranks of the UFC since entering the organization in 2016 with wins over exciting up-and-comer Randy Brown and vets Tim “The Dirty Bird” Means and Jordan Mein. His next fight is on September 22, 2018 at UFC Fight Night 137 in Sao Paolo, Brazil against Elizeu Zaleski dos Santos. A well-rounded fighter, his UFC stats are nothing short of brag-worthy: 90% of takedowns defended, 43% of strikes landed, and 60% of strikes avoided. Peña is The Ultimate Fighter 18 women's bantamweight tournament winner. Fine, she's not from here, she’s from Spokane, Washington, but she trains and fights out of Chicago with the Luiz Claudio Combat Team (she splits her time between Chicago and Spokane, the latter where she trains out of SikJitsu). The "Venezuelan Vixen" is ranked the #3 women’s bantamweight fighter in the UFC. Her last fight was January 28, 2017, her career being, obviously and rightfully, put on the backburner with the birth of her first child in January of this year! No fight is currently scheduled, but keep an eye on her; her comeback to the division, which has undergone an almost seismic shift with the injection of bright, young, new talents and the loss of the old guard, will be one to watch. She is likely one win away from a fight with champion Amanda Nunes, so look for her to fight either Raquel Pennington or Ketlen Viera in her return fight, should they remain healthy and go unbooked into the new year. She's also expressed interest in dropping down to the 125 pound division. While she's fought there once before, losing by unanimous decision, that was 5 years ago, a different time before she was at an elite level. Now, her size and skills would likely cause massive problems for other fighters in the Flyweight division should she make the move to 125. 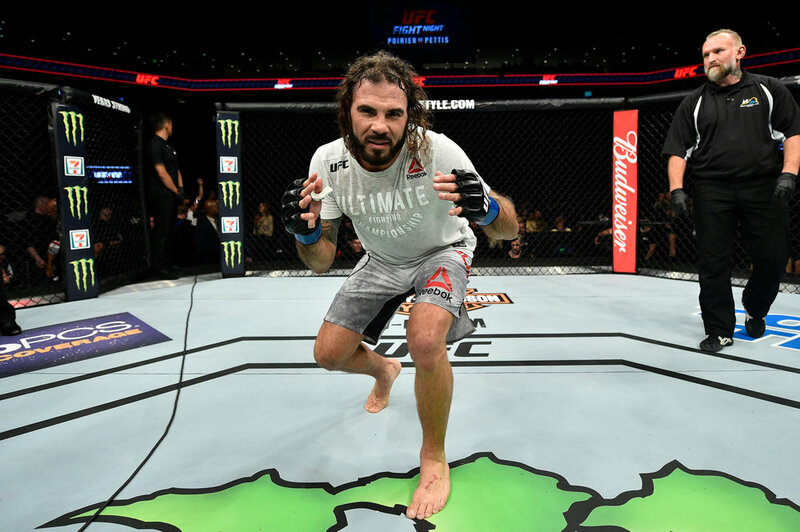 From Johnsburg, Illinois, Clay “The Carpenter” Guida has been a staple of the UFC for the past 12 years, fighting virtually every big name in both the lightweight and featherweight divisions while amassing a UFC record of 14-12 (total record of 34-18). He has had a storied career; he’s a nine-time UFC post-fight bonus recipient (6 Fights of the Night, 3 Submissions of the Night) and was the first ever Strikeforce Lightweight Champion, too! A perennial fan favorite, his signature caveman style and brawler attitude has attracted viewers since the moment he set foot in the Octagon. He last fought Charles Oliveira On June 9, 2018 here in Chicago, losing by first round submission to the jiu-jitsu ace. One of the organization’s most active fighters, expect to see him back in the cage soon. A rebooking of his Bobby Green fight (Green dropped out and was replaced by Oliveira) wouldn’t be a surprise. Ranked #12 in the UFC's Featherweight Division, this Chicago native of Mexican and Cuban descent was once at the pinnacle of the division, challenging then-champ Jose Aldo for the featherweight belt, losing by decision after all 5 grueling rounds. “The Bully” has always been a dangerous fighter; Lamas is known for his superb power, explosiveness, and finishing ability (10 of his 18 wins have come by KO or submission). Since the Aldo fight in 2014, Lamas has gone 5-4. While struggling to find the consistency he once had, Lamas may be relegated to the infamous “gatekeeper” role in the UFC; beating him will show worthiness of fighting future Top 10 opponents while a loss to him will send you back to the lower ranks of the division. Losses to Josh Emmett, Mirsad Bektic, and Max Holloway with victories over Jason Knight, Charles Oliveira, and Diego Sanchez closely illustrating this new position he may be in. There is always a chance for him to make another run at the belt, and with his aforementioned finishing ability, it's definitely not out of the question, and wouldn't be too surprising. Likely match-ups for him include Darren Elkins (#13), Alexander Volkanovski (#11, just beat Darren Elkins), or even Chan Sung Jung (#9, unlikely). All three of these would be exciting fights and present Lamas with an opportunity to maintain or move up the featherweight ladder, likely getting a post-fight bonus in the process. Currently ranked as the #1 US Pro Bantamweight Fighter in the Midwest by Tapology.com. This much-hyped, young grappling specialist from Elmhurst, IL (11 wins with 7 submissions) made his pro debut 5 years ago at the age of 20 and has since fought for organizations like XFO, Legacy Fighting, King of the Cage, and Bellator. In July 2017, he was on Dana White’s Contender Series where he fought Joby Sanchez and, unfortunately, lost by unanimous decision after three rounds in the series’ opening bout, handing Vazquez his third ever loss. He was successful in his return fight this past March where he beat Shawn West by rear naked choke in the first round during Caged Aggression 21’s main event. 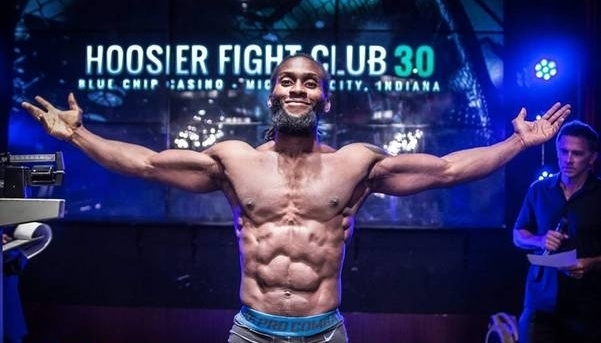 Fighting out of his hometown via Midwest Training Center, this Chicago native is a fresh face to the MMA scene, making his pro debut only three years ago and already compiling a 6-2 pro record alongside his reputation as a powerful striker. Competing in the welterweight division, his first four wins came by KO/TKO through a diverse array of strikes, a liver kick that shut Christopher Gutierrez down only midway through the first round of his pro debut, and three straight wins by TKO via punches. After a string of five wins he suffered his first defeat, by head kick knockout, against the seasoned veteran Mark Stoddard and followed that with a very close split decision loss, a heartbreaker of a way to lose. He has only fought once this year, competing on one of the biggest cards of the year, Bellator 198: Fedor vs Mir. Umar made a name for himself with thousands of sets of eyes on him as he beat Tom Angeloff by unanimous decision.